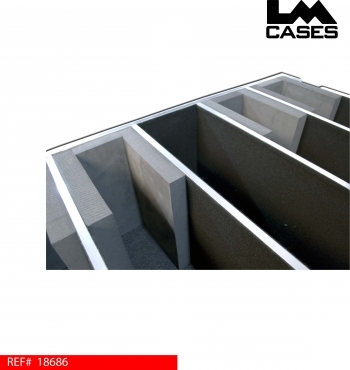 This case is designed to hold 4 NEC X46 monitors with wall mounts attached. The case is designed in this configuration to allow for multiple monitors to travel together for video wall applications. The case is 45" x 48" to allow for half pack configurations for easy truck packing and transportation. 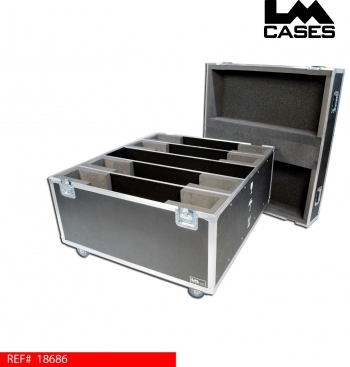 The interior of the case features 4 compartments lined with Crosslink foam, which is a Class A surface. The Crosslink foam prevents the monitors from being scratched by the foam during transportation. A center carpet lined accessory compartment is also included to store all the peripheral's such as remotes, wall mount accessories and power cables. 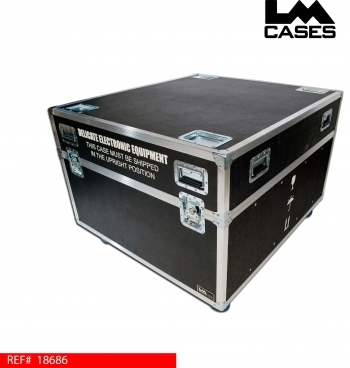 The exterior of the case features international shipping silkscreens and Colson 4" casters.